Forte 90, Inc. is a non-profit group of musicians and others joined together in an effort to expand the appreciation of classical music and to make it accessible to the general public. They offers performances in a variety of venues including churches, hospitals, community centers and schools to concert halls to reach as many sectors of the community as possible. 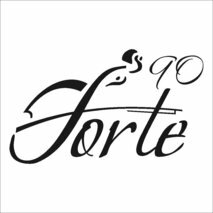 By performing selections from the classical repertoire, Forte hopes to lay the foundation for a continued appreciation and understanding of classical music. Forte believes it is critical to explain the concept of creating music as a masterful, yet accessible, process, and stresses the necessity to learn the language of music as a means of communication and creative expression. Forte is developing a program for public schools, both in New York and elsewhere that will introduce string instruments with lots of demonstrations, incorporating humor to maintain joyful, pleasant experiences; such processes also enhance a student’s ability to study and learn the standard school curriculum and expose the children to live performance of classical music. Another program undertaken by Forte is live classical music performances of “young talents” with professional artists. These performances provide the students with an opportunity to gain proficiency in concert technique by performing with a professional in front of a large audience. Last year Forte 90 started a new project - Brooklyn String Competition. Our latest project is New York Festival Orchestra. For more information about Forte 90, Inc or if you want to make tax-deductible donation, please contact us.